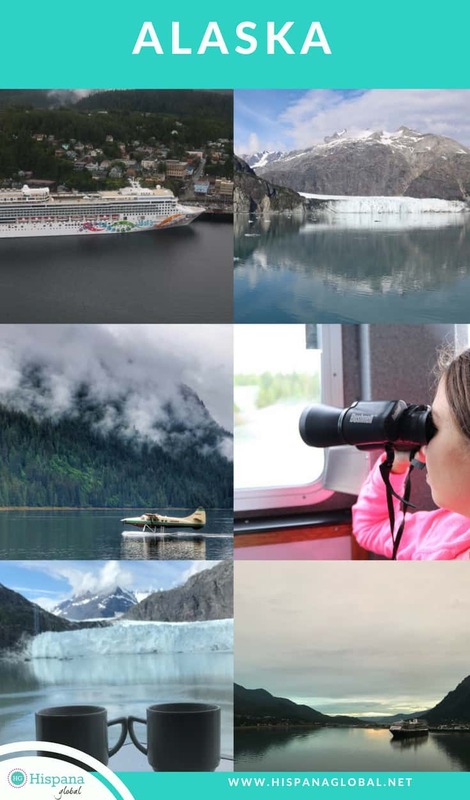 Going on a Alaska cruise with your kids can be the trip of a lifetime. Not only do you get to see nature in all its majestic beauty, but you also get to be pampered during your cruise vacation. After going with my own family to Alaska last summer, I have to say it was worth every penny. It’s an expensive trip but we truly enjoyed every second. My kids still rave about how incredible it was and every time I look at the pictures, I feel so much joy. If I could, I would go again. 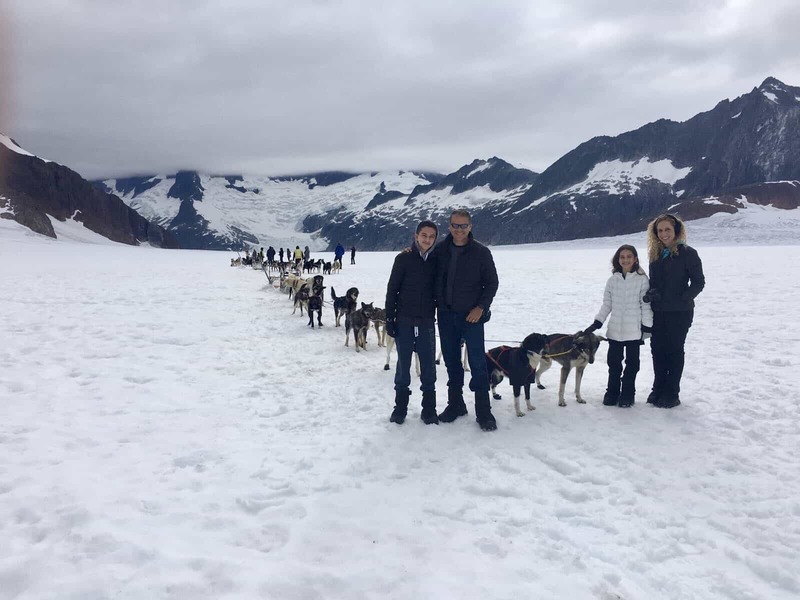 If you want to see one of the excursions we did, check out my video about the Herbert Glacier helicopter tour with dog sledding. 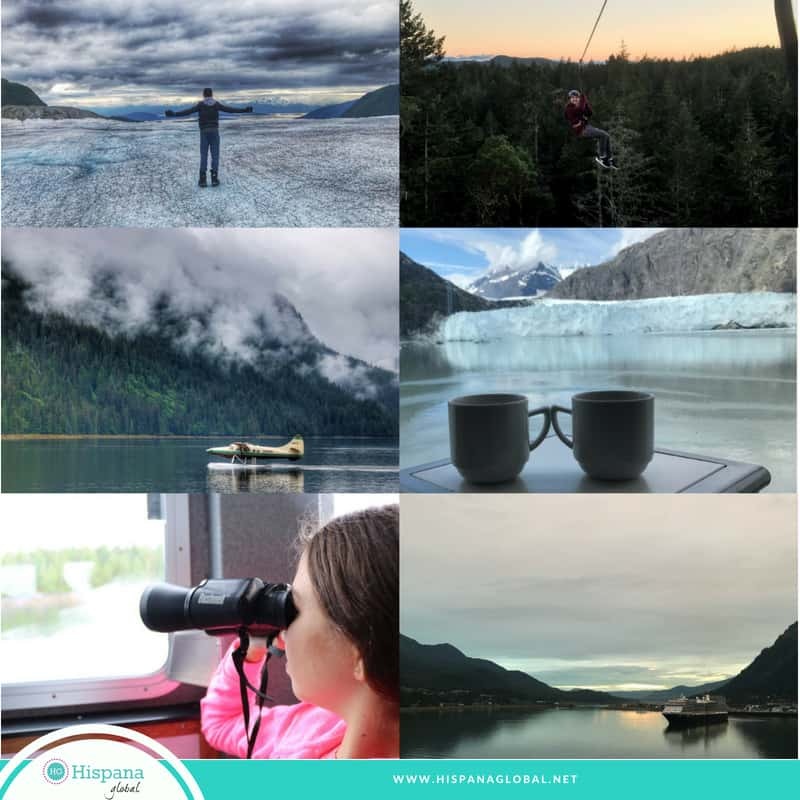 When I was planning my cruise to Alaska I found a few tips but not so many when traveling with kids, especially teens and tweens. Here is my own advice in case you go on a family vacation to Alaska. Do your research about every single port of call. Itineraries vary depending on the cruise, so don’t assume all Alaska cruises are the same. Every town is different and has unique offerings, but not all activities might be equally attractive for your family. Save up for the excursions.Even if you get a great deal on the cruise portion of your trip, the shore excursions will add up. 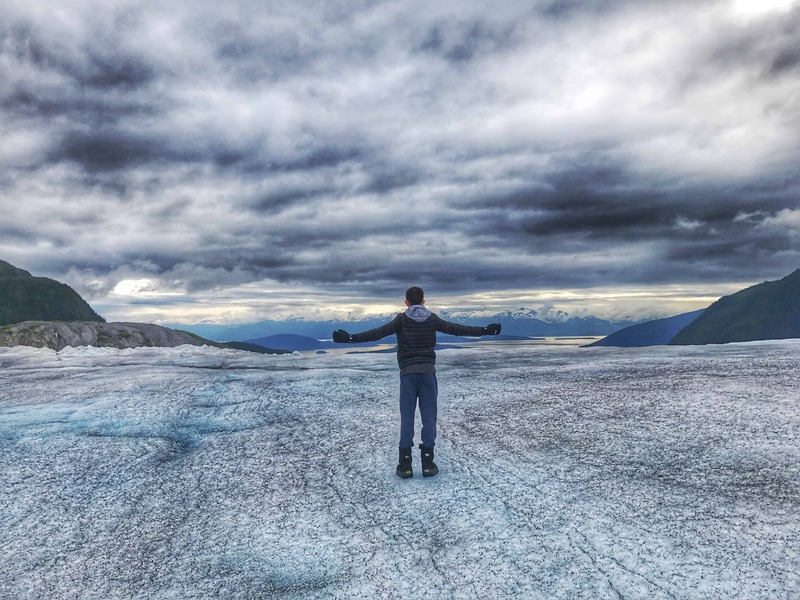 If I had to pick just one, it was the Herbert glacier expedition via helicopter and dog sledding in Juneau. In Victoria, we loved the zip-lining, something we decided to do at the last minute because my kids are adrenaline-seekers. We also did an ATV tour in Skagway that was super fun. Other families might prefer whale watching or fishing. Use the cruise line’s website to check in and finalize your plans.This might seem obvious for experienced travelers, but you won’t believe the amount of people who forget to log on and check in online. Once you finalize your online check in, remember to print out the confirmation page. Also, check to see if there are any offers for beverage packages, wifi, photos or specialty dining. Book a balcony cabin if you can.The views are breathtaking. It’s a splurge that once you enter Glacier Bay, will be totally worth it. My kids say that room service that day was unforgettable, because they ate breakfast while looking at the glaciers. I also enjoyed my coffee in our balcony every single day of our cruise. Know the kind of ship you’ll be on. Some cruise lines are more family friendly than others, and not all ships offer the same amenities. 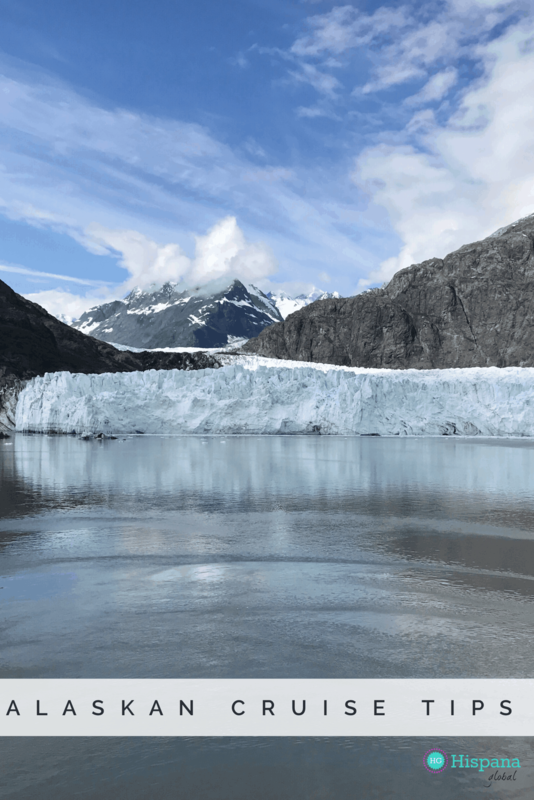 Ships that travel to Alaska tend to be on the smaller side, and some can be older, so keep in mind that there might not be enough scheduled activities for kids and teens. Have a plan B in case weather conditions are not optimal. Excursions can be cancelled at the last minute due to inclement weather, especially those involving helicopters or seaplanes. It can be quite frustrating, but your family’s safety is the most important concern always. Some ports of call have excursion booths at the pier, so you can book a last-minute alternative in case your tour gets cancelled. Pack layers of clothes. Weather is becoming more unpredictable, so don’t assume it will be hot or cold. Also, plan for rainy days, so hooded windbreakers and parkas are great choices. Take waterproof shoes. It tends to rain quite a bit during the summer, so be prepared. No need to spend a fortune on expensive hiking boots unless you will use them again. Crocs has great waterproof boots and booties that won’t break the bank. Keep in mind that Ugg boots might be comfy and warm, but most aren’t waterproof. Just make sure to break them in before your trip. Take advantage of learning opportunities on board. Many cruise ships offer lectures from park rangers or have excellent guides that can teach you and your kids about Alaskan wildlife. Some programs even cater to children. Don’t forget games and entertainment for kids. Not all the ships have enough entertainment for tweens and teens, so travel-sized board games are a great option. If they prefer electronics or are gamers, make sure to download games that do not require wifi, since it can be quite expensive! Same applies for video streaming; download movies before your sail way on your cruise to Alaska. Is a cruise to Alaska on your bucket list? Let me know if you have any questions.